Thomas Thompson. Image available on the Internet and included in accordance with Title 17 U.S.C. Section 107. Blood and Money by Thomas Thompson. Image available on the Internet and included in accordance with Title 17 U.S.C. Section 107. THOMPSON, THOMAS (1933–1982). Thomas (Tommy) Thompson, journalist and writer, the son of Clarence and Ruth Thompson, was born on October 3, 1933, at Fort Worth, Texas. His father was a high school principal and his mother a teacher. After graduating from Arlington Heights High School, Thompson earned a journalism degree from the University of Texas at Austin in 1955. He had started his own newspaper at age eight; by age twenty-three he was city editor of the Houston Press. Around 1958 he married Joyce Alford; they divorced in 1969. He joined Life magazine in 1961 and became an editor and staff writer. When Life ceased publication in 1972, Thompson turned to writing freelance magazine articles and books. His first two books-Hearts (1971), on the rivalry between Houston surgeons Michael DeBakey and Denton Cooley at the dawn of the heart transplant era, and Richie (1973), the story of a Long Island man who killed his drug-addicted son-were based on stories that first appeared in Life. While doing research in Houston for Hearts, Thompson heard a story that inspired his most successful book, Blood and Money (1976). It was based on a true story of scandal and murder among Houston's social elite and involved the deaths of Joan Robinson Hill and her husband, Dr. John Hill, who was accused of her murder before he himself was killed by an alleged hit man. 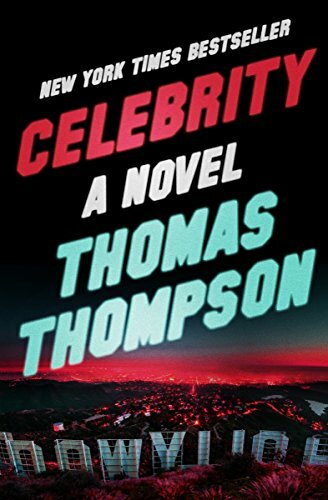 The book made Thompson a millionaire and the target of three libel suits. It sold four million copies in fourteen languages. Thompson said that he wanted to write about the psyche of Texas as reflected in this case, since he felt that it was still a frontier state and its violence had always concerned him. A prodigious researcher, Thompson flew around the world three times and spent two years in Asia doing research for Serpentine (1979), the bizarre story of convicted murderer Charles Sobhraj. Thomas Thompson with colleagues at a party in Beverly Hills for his book Celebrity, 1982. Courtesy of Ron Galella/Getty Images. Image available on the Internet and included in accordance with Title 17 U.S.C. Section 107. Celebrity by Thomas Thompson, 1982. Image available on the Internet and included in accordance with Title 17 U.S.C. Section 107. Handbook of Texas Online, Sarah L. Greene, "THOMPSON, THOMAS," accessed April 23, 2019, http://www.tshaonline.org/handbook/online/articles/fth53.